A stay at Hotel Belmar Galeria places you in the heart of Puerto Vallarta, within a 15-minute walk of Playa de los Muertos and Malecon. This hotel is 3.9 mi (6.3 km) from Cruise Ship Terminal and 6.3 mi (10.1 km) from Bay of Banderas. Hotel Belmar Galeria features tour/ticket assistance, coffee/tea in a common area, and concierge services. Public areas are equipped with complimentary wireless Internet access. 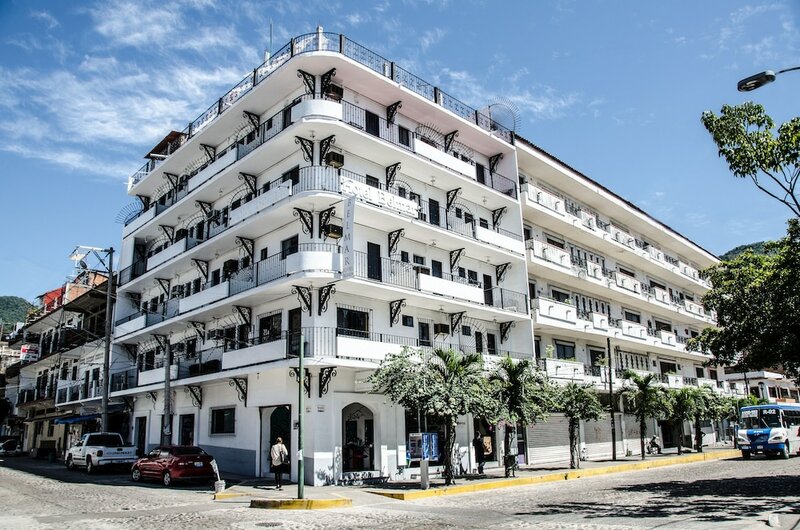 This Puerto Vallarta hotel also offers complimentary newspapers in the lobby, room service (during limited hours), and a safe deposit box at the front desk. Hotel Belmar Galeria is a smoke-free property. A resort fee is included in the total price displayed. Some facilities may have restricted access. Guests can contact the property for details using the contact information on the booking confirmation. Construction is underway at a neighboring building and there may be noise disturbance from the construction work.